Wendy is PSI’s Executive Director. In collaboration with our PSI volunteers, Office Administrator and the Board of Directors, she is responsible for developing and implementing sustainable services towards fulfillment of the PSI mission, vision and purpose. She serves as a liaison with other groups and organizations, and works on PSI outreach projects to strengthen our support, education, and advocacy network. I am the Executive Director of Postpartum Support International (PSI) and live in Portland Oregon. I began my career as a psychotherapist in 1987, and started specializing in perinatal mental health after recovering from postpartum depression and anxiety in 1994. 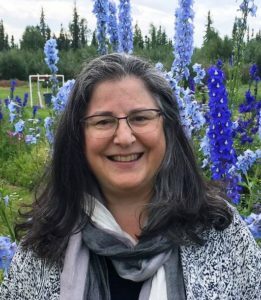 I founded Oregon’s first perinatal mental health support organization Baby Blues Connection in 1994, became a PSI support coordinator in 1997, and was hired as the PSI Executive Director in 2009. I work with providers, public health systems, schools, communities, and hospitals to develop and provide perinatal mental health training curriculum and services. I provide consultation and training for others who are developing their own perinatal support services, and I love to help them formulate the particular model of support that can be sustainable in their local community. I am committed to listening, learning, and improving our capacity to serve all families who need our help. I am extremely proud to be part of PSI and to work with such courageous and passionate people around the world.